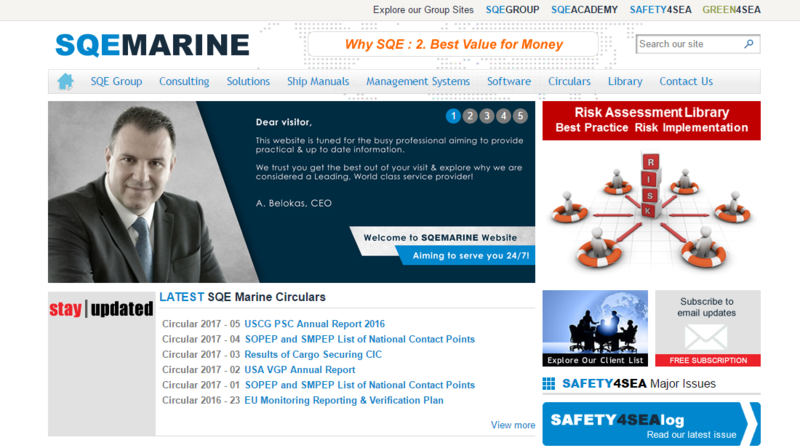 Employing experienced and well trained personel, SQE Marine (sqemarine.com) offers reliable, effective and financially yielding services for shipping industry since 1998. One of the goals of the group is also informing on matters of safety on the constantly evolving section of shipping. We migrated from the old website (Joomla) the whole content and shaped the image of the new corporate website according to the instructions of our customer. The goal was for the design and aesthetics to be common among the various sites of the group. I have read and I agree with Terms and Conditions.